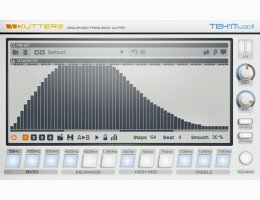 Kutter 2 is a sequenced frequency cutter effect. 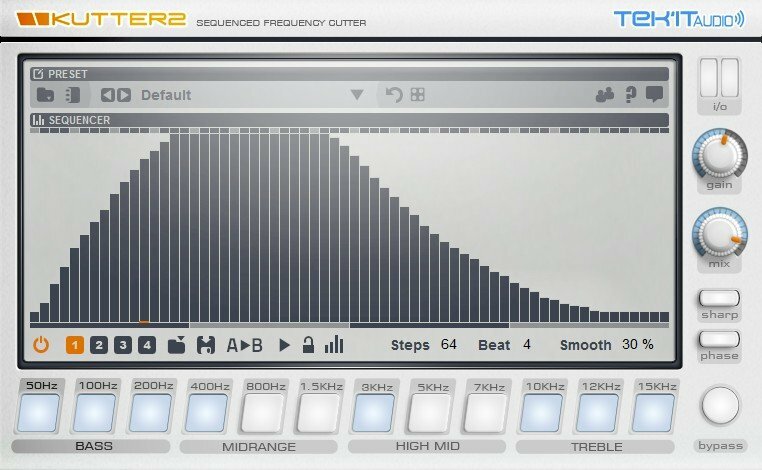 Cut frequencies on the 12 band and breathe life into your sound using the step modulation sequencer. Create trance gate effect, fading effect, chop your drums and a lot more with high precision. 8 to 128 steps modulation sequencer. 4 sequencer memories per preset. Sequencer play forward or reverse. Phase inverter and Sharp mode. Wet/dry signal mix and gain controls. 128 presets by Justin O'Quinn (EDM producer) and Tek'it Audio.